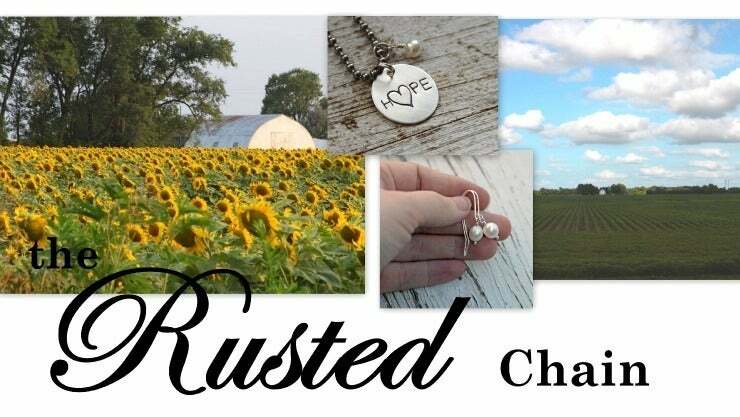 A sterling silver disc is hand stamped with names, and an artisan copper heart floats in the center. The disc is hammered on the edges, domed for dimension. Each letter is individually stamped into the metal, so your piece will be completely custom to you! This is strung on an 18" stainless steel ball chain and measures just under 1" in diameter.